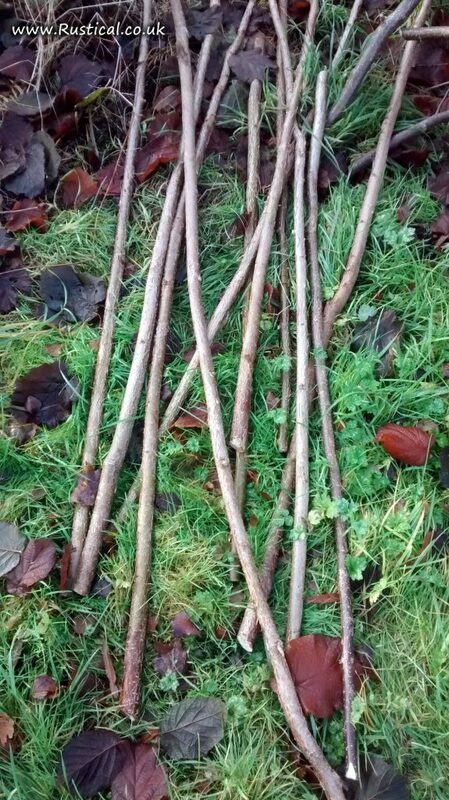 As the seasonal wreath making draws to a close a lovely morning allowed a chance to make a start on the Hazel coppice. Our stand of hazel was planted specifically to provide a harvest of walking stick blanks for the surprisingly large number of local stick making enthusiasts. We now use the remaining wood for crafts including wood turning and gypsy flowers, wood chunks for smoking foods and, as a last resort, firewood. 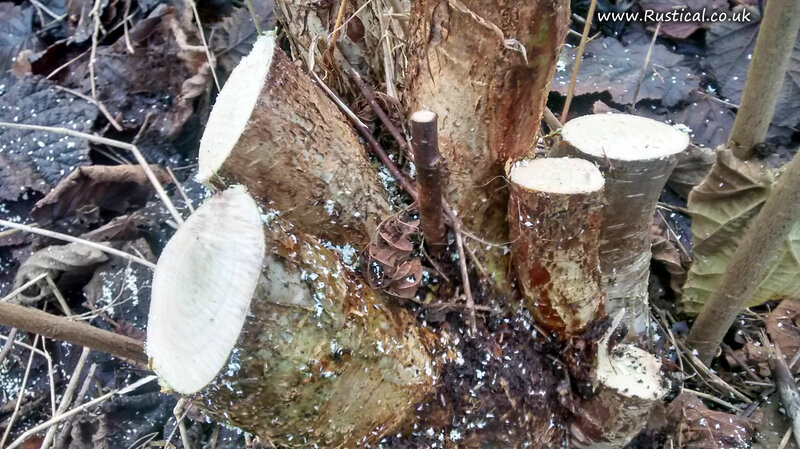 We choose not to ‘clear fell’ the hazel but prefer to selectively cut out the sticks we want and leave the remainder to mature. This practice not only maintains the fantastic wildlife habitat that has been established but it seems to ‘draw’ some good straight sticks as they fight for the light at the top of the canopy. Previous Previous post: Fresh wreath making has started!